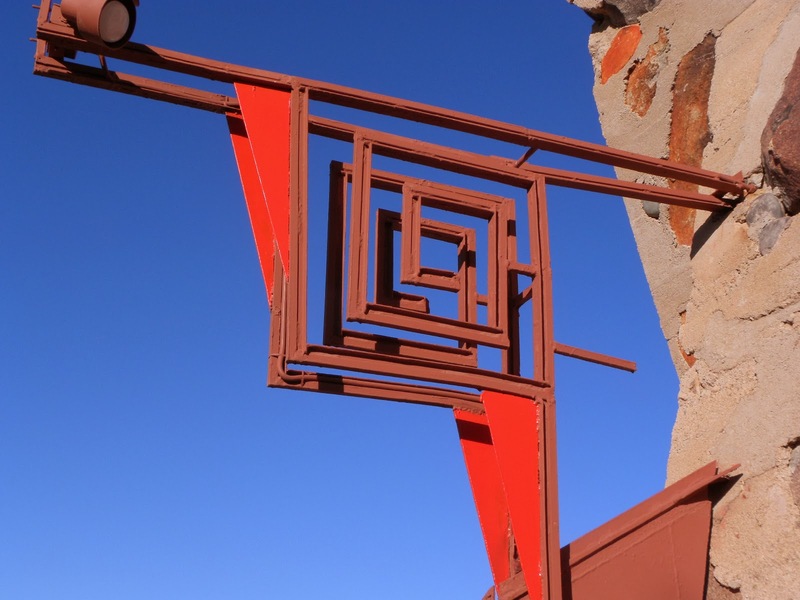 To direct visitors toward the entrance to Taliesin West Frank Lloyd Wright had his apprentices erect the great desert masonry stele, or slab, from which a squared red wrought iron spiral points the way. 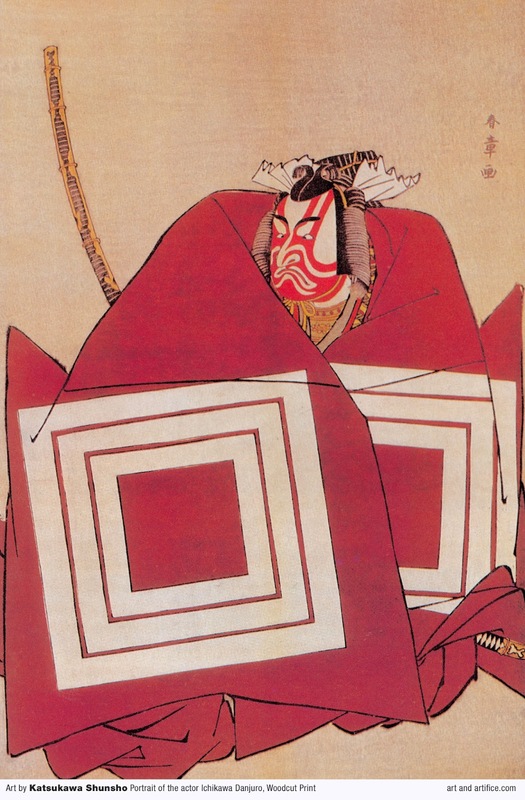 Legend has it that Wright was inspired by one of the ancient Hohokam petroglyphs that were found in and around the site and were placed as points of reference in the plan, but others see certain 18th century actor prints by Katsukawa Shunsho (which Wright collected) as a likely source. 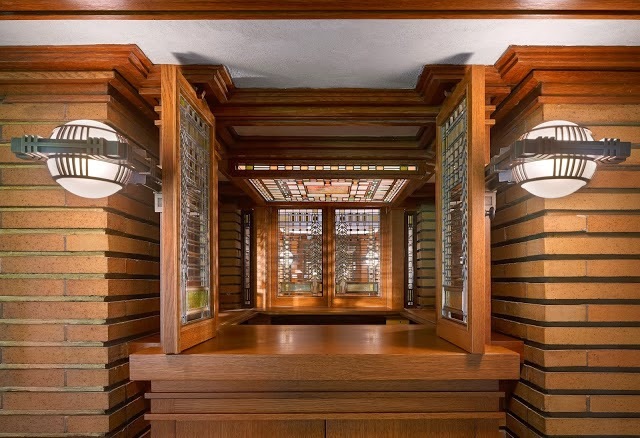 As Mrs. Wright once noted, Wright had extraordinary powers of absorption. 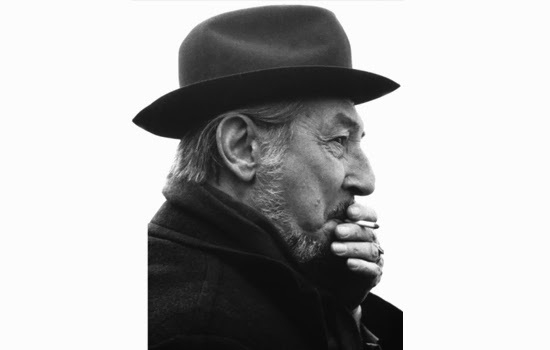 Very few of his followers had these powers but among them the Venetian architect, Carlo Scarpa, stands out. 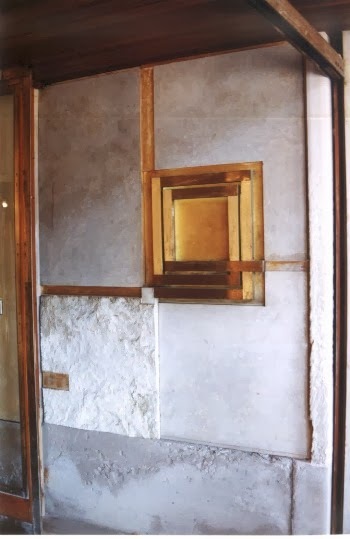 Very much his own man, Scarpa greatly admired Wright and remains one of the few who were able to absorb aspects of Wright's work without merely imitating him. 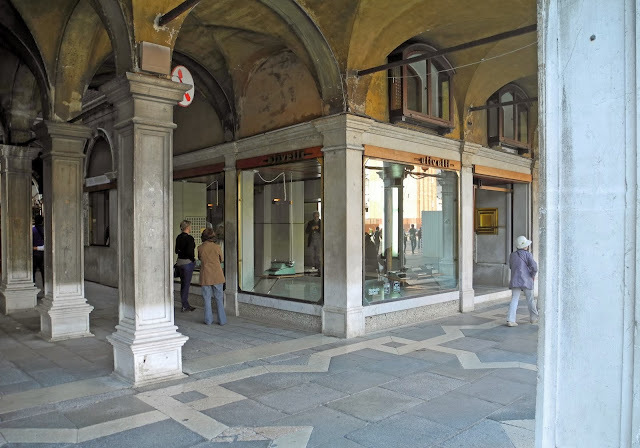 At the entrance to the Olivetti store under the arcade of the Piazza San Marco in Venice Scarpa emblazoned the wall with his own version of the squared spiral. 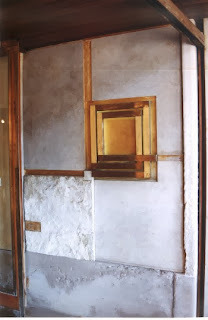 Scarpa and Wright met when Wright was in Venice to pursue the Masieri Chapel commission.